Home Arts & Entertainment Books How hard can it be? 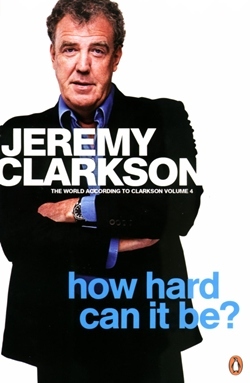 I believe this is the fourth volume in the series The World According to Clarkson, an annual compilation of Jeremy Clarkson’s columns in the British Sunday Times. This one is entitled How Hard Can It Be? 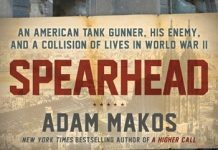 (ISBN 978-0-141-04876-5, Penguin Books, 2011). As in his previous three volumes, Clarkson expounds on all his pet hobby-horses, the government and its inadequacies, the Health and Safety legislation and men in orange visi-jackets, his color-coded dustbins, the Archbishop of Canterbury and anything in the slightest considered politically correct. Clarkson has also no time for the ‘scientific’ stories that appear in the popular press, “I’m only giving you the scientific news from Tuesday – we heard that women who take HRT will have a stroke; that smokers get depressed more easily; that Range Rovers cause global warming; and that if you take pills for high blood pressure you will become stick-thin and, I don’t know, fall through grates in the street or be taken away by a stork.” Once again using the absurd to make his point in that humorous way. With Clarkson’s scathing contributions to show how the world should be, it is interesting to pause for a moment to see if he has actually been successful in turning the societal tide. When you look and see that this fourth book is actually reprinting his 2008 columns, you then understand that nothing has been changed in the three years since then. Clarkson is in many ways a literary King Canute (Knut to be pedantically correct) trying to turn the tide, and being equally as successful as the Scandinavian royal. With 52 weekly contributions, you get plenty to chuckle over for your B. 430 at Bookazine, but you need to have a personal healthy dislike of all things PC to get the most out of this book.